Kirby House is an all-male dorm on campus. (Photo courtesy Emily Fidlow ’19). Jeffrey Grenyo, a 20-year-old undergraduate student at Rensselaer Polytechnic Institute, has been identified as the man found dead in Kirby House on Wednesday morning, according to a Facebook post by his high school superintendent. Northampton County Coroner Zachary Lysek said that Grenyo appears to have taken his own life, according to a report from the Morning Call. 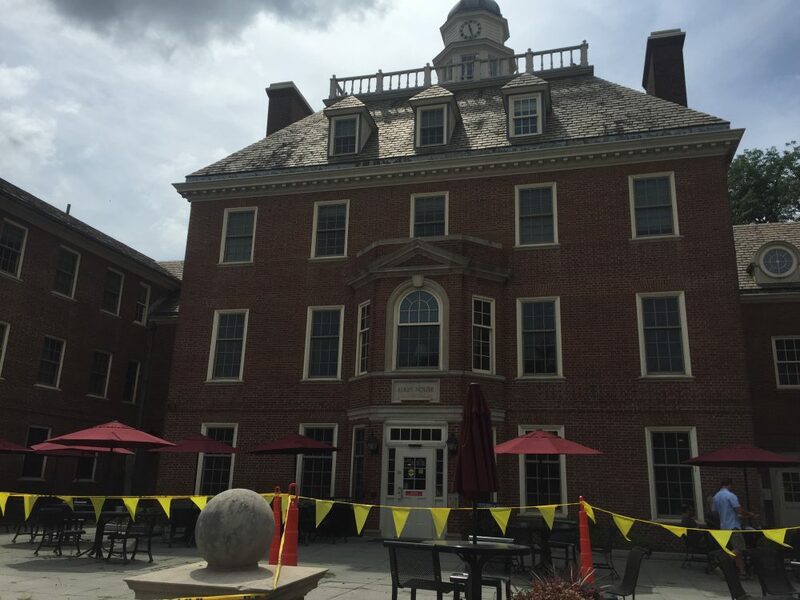 Grenyo was a teaching assistant for the Johns Hopkins Center for Talented Youth, “a highly regarded summer enrichment program” hosted on campus, according to an email from President Alison Byerly sent to Lafayette’s summer campus community. He was a graduate of Phillipsburg High School in Phillipsburg, NJ, and was one of his graduating class’s “most elite students,” according to the superintendent’s post. The Johns Hopkins CTY program will continue on campus, and “no changes are expected in housing arrangements,” according to Byerly. She noted that the program has been hosted “for many years” at Lafayette. Lehigh Valley Live reported that Lafayette Public Safety, Easton Police Department, and the coroner’s office are all involved in the investigation. Public safety officials and Easton police officers reported to the scene, Byerly wrote. Byerly added in her campus-wide email that the college is “tremendously saddened by the loss of young life.” Grenyo’s death comes after the deaths of four Lafayette students last school year, two of whom died by suicide. According to the Suicide Prevention Hotline, suicide can be prevented by “directing help to those who need it.” The 24 Hour National Suicide Prevention Hotline is 1-800-273-8255.